The quickest and easiest way of keeping your home or business spick and span is by hiring carpet cleaners in Liverpool – but if you’re determined to go about it yourself, here are a few hints and tips to help you get it right. You should check whether your carpet is colourfast before you clean, as if it’s not it could fade, bleed or change somewhat when removing stains. If it’s not colourfast, you can still clean it but you will need to be extra careful. When installing your carpet in the first place, keep a bit back so you can test it easily without risking the health of your entire flooring. 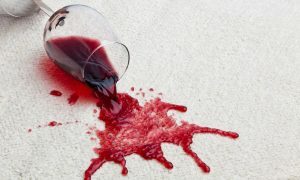 If you’ve got a little spill, powder (whether it’s an official carpet cleaner or something like baking soda) can help you soak it up and bring your carpet back to life. Just sprinkle it liberally over the stain, leave on for at least 30 minutes, then vacuum it up when you’re done. Another option is carpet shampoo – but make sure you follow the manufacturer’s instructions on the packet as there are many different products of this kind out there. If stubborn stains don’t come out, use a hard-bristled brush to scrub them gently. This might sound like a strange tip to some but if you’ve somehow managed to get something sticky in your carpet like chewing gum, you can harden it up with an ice cube before trying to get it off. By the same token, if candle wax has dripped on your carpet you can get it off by putting a tea towel down and then ironing over the top of it to warm it up. Scrape it off, then put a paper towel down and iron over that as well. The wax should bind to the paper and come straight off.